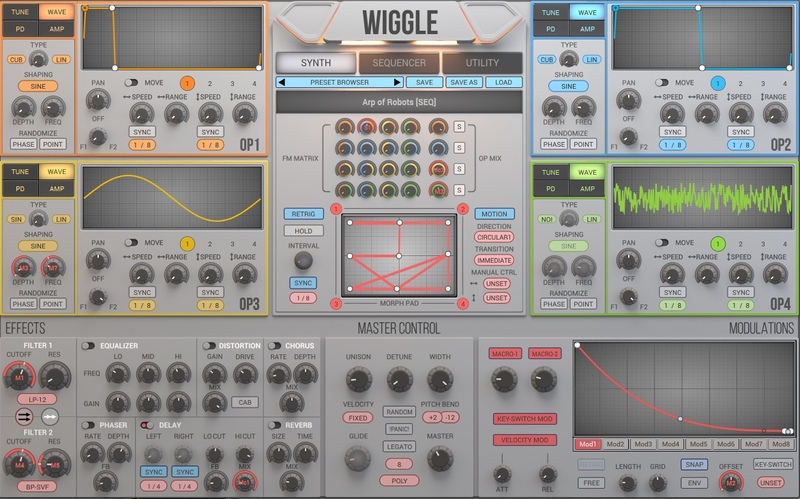 2nd Sense Audio has released 1.1.8 of its dynamic waveshaping synthesizer WIGGLE. The new version has improved some waveform painting performance and added 27 new factory presets. WIGGLE now comes with 551 factory presets. Improved some waveform painting performance. WIGGLE 1.1.8 is a free update for all customers, available immediately through the official website. You can download the 20-day fully functional demo version for Mac OS X and Windows on 2ndSenseAudio.com. WIGGLE is available for $99. Throughout December, WIGGLE will be sold at the holiday season sales price of $79.